The time of year when Winter finally is clearly fading away from the Ottawa region. 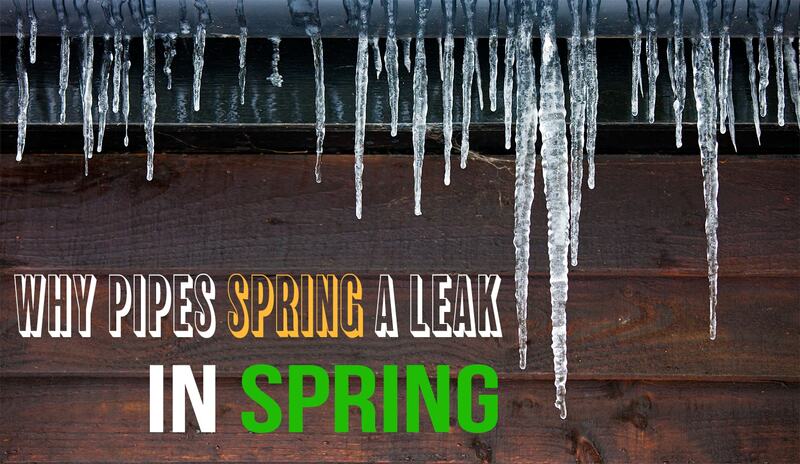 The days get longer, the clocks go ahead one hour, frozen pipes spring a leak…wait a sec. That is one of the signs of Spring that most of us would rather avoid but sometimes you can’t. You know, the cabin on the lake just sort of sits there during Winter hoping that one day you’ll find your way in and fire up the woodstove or stoke a fire to warm its bones. But when you don’t, Mother Nature gets even with you by freezing up your waterline. Okay, guys. Here are some hints that’ll get you through the tough time of dealing with a potential frozen pipe scenario. You can thank us later. 1 – Don’t Wait For The Thaw To Save Your Bacon Sure, it may sound pretty logical that as temperatures warm up with the oncoming arrival of Spring that your frozen pipes will just fix themselves. It’s a common misconception. It’s something we would call a Rookie Mistake, but not to your face. What you should do first is check your entire waterline for leaks. Yup, that means crawling into some crevices and tight spots you’ve probably never seen before. If you discover a pool of ice or water dripping somewhere it shouldn’t, it’s time to call in some back-up. Call us ASAP at 1-613-489-0120. You’ve heard the saying, “The calm before the storm,” right? Well, not to freak you out but a small leak in a frozen water line is often the least of your worries. It’s when that little drip gets bigger and the ice starts to melt where it can become a slightly more serious issue. For example, if a chunk of ice in your waterline breaks free and slides through the pipe freely, that’s not a bad thing. When it gets stuck somewhere and becomes a plug that blocks a sudden rush of water through the line, this is not so much fun. For 24/7 emergency plumbing call us at 1-613-489-0120. So you’ve taken an up-close and personal inspection of the water pipes inside your home. They’ve been frozen but appear to be thawing out quite nicely. You’ve fired up the furnace, wood stove or some other heat source to give your pipes a slight edge on thawing out. Suddenly you hear what sounds like ice sliding through the waterline. It suddenly stops at a bend in the line. You think nothing of it until you hear water running. It’s loud and fast and it hits that ice like a freight train and bursts the pipe open. Call us now at 1-613-489-0120. Ah, no. Once your pipe is burst you are pretty much guaranteed that your home now has a shower in a place it didn’t before. It is also very likely that the new shower in your home is not where you would have planned it if you could. What you need to do now is shut off your water main and gets started on a completely different DIY project. This one we like to call ‘Clean Up’ and it is going to be one of those jobs you’ll never want to do again, hence the importance of avoiding frozen water pipes. For assistance with frozen pipes just call us at 1-613-489-0120. As hard as it may be to believe, we didn’t become the known as the best plumber in Ottawa by accident. Well, truth be known, not our accidents, that is. That’s why we try to remind residents in the Ottawa region that Springtime is certainly a good part of any year but for plumbing, it’s a real workout. Frozen pipes that develop leaks or eventually burst will cause some serious water damage that will severely impact the value of your home. Even if it’s on lakefront property. A beautiful view won’t mask the smell of water damage. Call us today at 1-613-489-0120.